Using GoInstant at Node Knockout 2013. Last weekend, I competed in Node Knockout 2013 along with some fellow MojoTech-ers (Sam Saccone and Craig Jolicoeur) and designer Marissa Epstein. 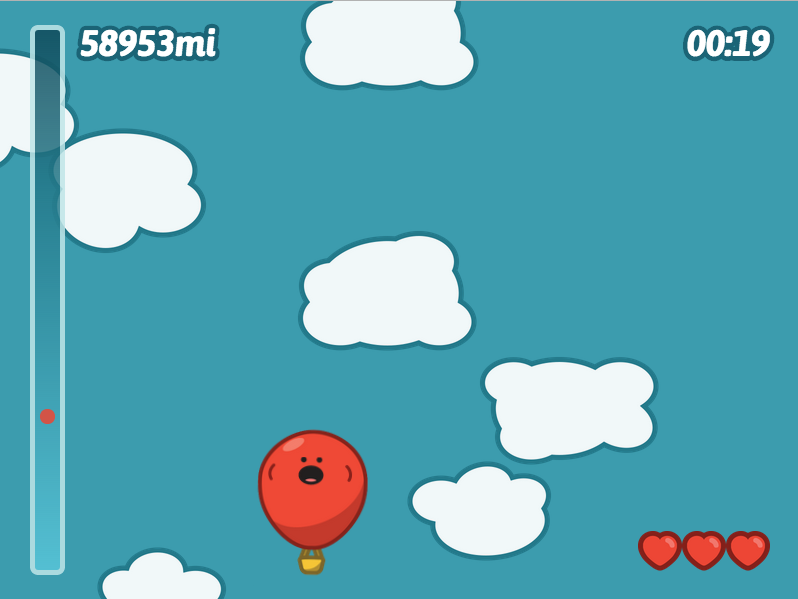 Our entry was game about a balloon named Zoom trying to fly to the moon, and you can download it for mac, or just play it online. We are proud of the level of polish we were able to achieve in such a short amount of time, as well as how legitimately fun the final product was. If you love it too (or even just like it), you can still vote for us below. The weekend as a whole, was a ton of fun, and in order to keep stress low and speed-up development, we used a number of different tools, including crafty for rendering most of the game, node-webkit to create a native application to distribute, and roots to streamline our local environment and deploy process. We also knew from the beginning that we wanted the ability to view game replays from the high score screen, which required some form of persistent storage. Enter GoInstant. The decision to use GoInstant for Node Knockout was an easy one. Let’s be honest, they were giving away a Tessel as a prize! Luckily for us, they also provided an easy to use API for accessing a key-value store, which is exactly what we needed to implement our critical replay feature. More specifically, we needed to store high scores, player names, and game state. Game state consisted of a terse JSON representation of the keyboard input over the course of the game, and a seed used to generate the cloud layout. In order to concurrently remove items, each high score was given a UUID, and each client opportunistically pruned the dataset if the number of high scores we were storing creeped too high. Not very much code at all to get what we needed, which is especially important during a hack-a-thon. It’s also worth mentioning that while the API wasn’t free of bugs, the support via Twitter and IRC was timely and helpful. We received quick responses, even in the middle of the night. You can tell these guys (and girls) are serious about making their product better. GoInstant also has a lot of cool real-time features, which we didn’t need to use this weekend, but which I will certainly look into going forward. If you promise to be gentle, you can check out all our code from the weekend on GitHub.